Foot Locker has NMDs back in stores. Foot Locker is giving shoppers another chance at some of this year's more coveted NMD styles with a restock of the three colorways pictured above. According to the big box sneaker store's Instagram account, these are back in stores starting today. Note that the restock appears to be in-store only, and there is no sign yet of these returning to Foot Locker's online store. How many of the chain's brick and mortar spots will carry the shoes? 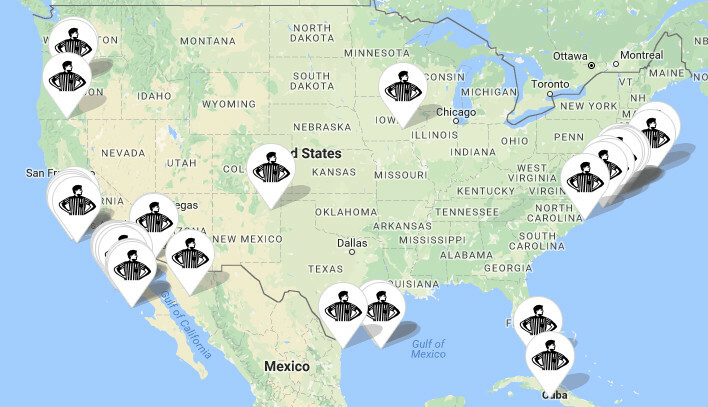 Its Launch Locator tool here lists each of them, with the below map providing a good overview of how widely available the sneakers will be. Those hoping to purchase any of these Primeknit NMDs from Foot Locker today should hit the Launch Locator and call their nearest store to check for availability.